Making some minor and relatively inexpensive changes can reduce the level of potentially harmful bacteria in the environment and the animal’s ability to fight off infection. Farmers Guardian reports. When it comes to keeping on top of disease, big gains can be made by simple infrastructure adjustments, according to Graeme McPherson, vet at Synergy Farm Health. Vets regularly consult on common livestock diseases, with the big ones being mastitis, lameness, and infertility in adult dairy cows, and pneumonia and calf scours in youngstock. There are pharmaceutical options available to help manage these diseases but often big gains can be made by some simple infrastructure adjustments. Infectious diseases, such as pneumonia, digital dermatitis and mastitis, are a function of two factors. These are the ‘infection pressure’, being the number of potentially harmful bugs in an animal’s environment, and the ‘host defence’, the animal’s ability to fight off harmful bugs and this can be negatively affected by stress or bolstered against specific bugs by vaccination. Exposure of feet to slurry is a necessary evil of housing cattle and digital dermatitis is typically a problem of housed cows, says Mr McPherson. Mr McPherson says it is well understood biologically inert substances, such as sand, make an excellent lying surface for dairy cows. The sand moves to accommodate the cow’s shape, providing effective cushioning at contact points and a comfortable lying surface. Also, as sand does not contain much organic matter, it is not a good home for bacteria. He says: “Some farmers have converted their mattress accommodation into sand cubicles with the addition of timber or angle-iron to the back of the cubicle to contain sand at relatively little cost. After digital dermatitis, the most common diseases causing lameness in dairy cows are white line disease and sole ulcers or solar bruising, caused by cows standing on concrete, he says. Measures to alleviate time spent standing will help reduce damage to subsolar tissue. He says: “Improving cubicle comfort will typically increase the amount of time cows lie down which, on a total mixed ration system, should be in excess of 11 hours a day. 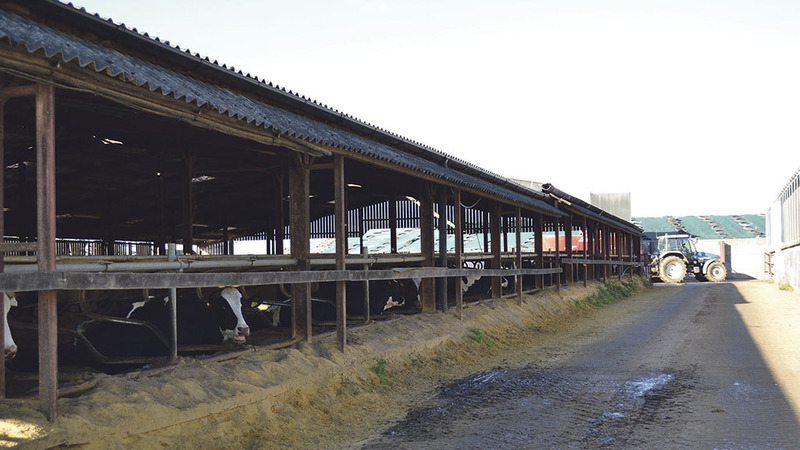 To reduce standing times on concrete, rubber matting can be laid in places where cows have to stand, such as the collecting yard. 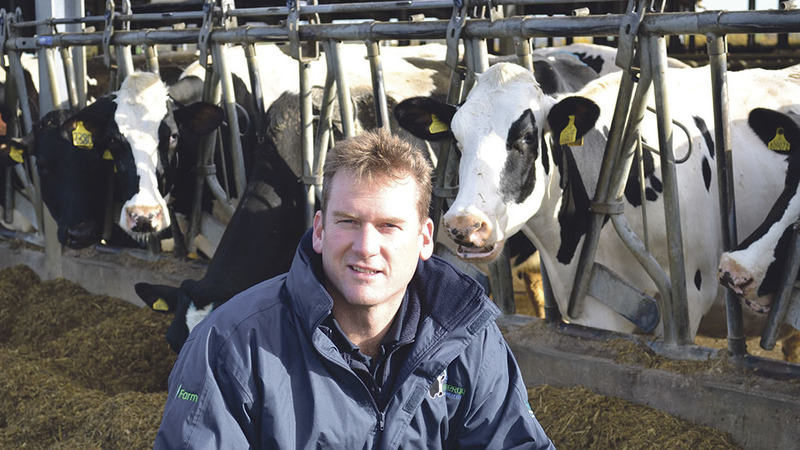 “Providing enough at least 70cm of feed space and drinking trough space per cow will mean cows do not have to wait. Trying to eliminate sharp corners will help prevent the shearing forces which cause white line injury, says Mr McPherson. Where there are permanent sharp corners, rubber matting can be laid to reduce shearing forces and grooved concrete will reduce slipping. Removing a wall in front of the parlour exit can significantly improve cow-flow out the parlour. Bacteria and viruses thrive in dark, moist environments with low levels of oxygen, says Mr McPherson. 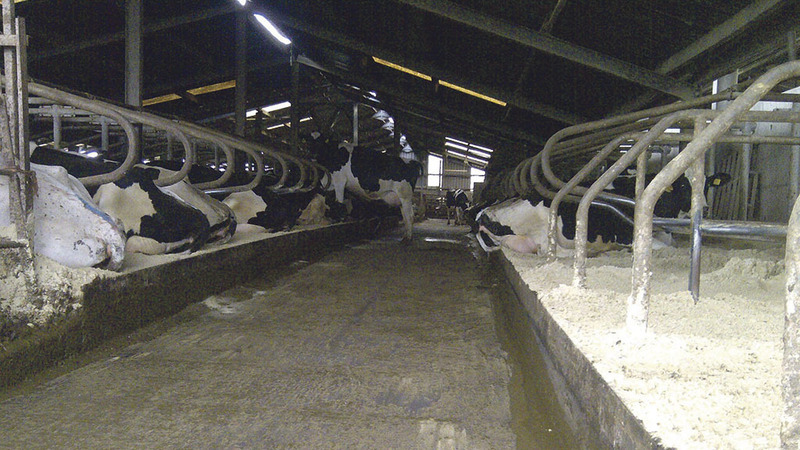 Good ventilation is therefore critical in reducing infection pressure in our animals’ environment. Removing ridge caps is inexpensive and allows air out and light in, making the environment more hostile to bugs, reducing infection pressure and cow stress. When air escapes it needs to be replaced with fresh air from the sides of the building and sometimes tin sheets or Yorkshire boards may need removing. Calves do not produce enough heat to generate a stack effect in a shed and they are much more vulnerable to the negative effects of drafts. Therefore, McPherson says calves need thermally neutral shelter from drafts in winter, but they may need help getting adequate fresh air. 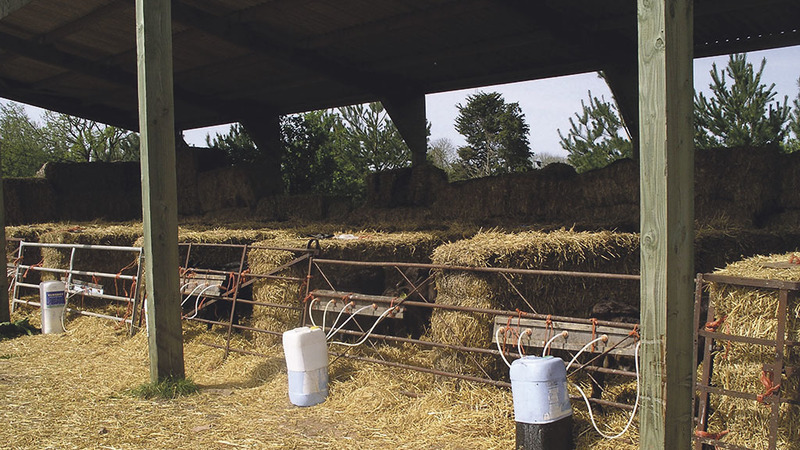 Positive pressure ventilation systems do a brilliant job of getting fresh air into calf sheds without creating drafts and are surprisingly inexpensive.